On display for the first time at Core Bike will be the latest trail fork offering from suspension guru’s DVO. The new Diamond offers riders 140mm or 160mm of smooth travel with externally adjustable rebound, compression and lock-out. Available in two colours and either 650B or 29” options it retails at £799. 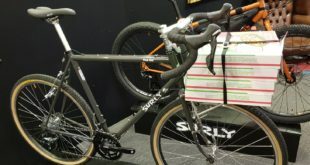 Silverfish will not only have Yeti’s Switch Infinity equipped SB5c and SB6c bikes on display at this year’s show but they will also be offering both bikes as frame only options for the first time as well. This means that you can not only purchase your Yeti Cycle as a fully-equipped bike, but you can also offer customers more flexibility with a range of frame-only options as well. Then there’s e*thirteen. With more and more riders switching to a single ring set-up on MTBs it was never going to be long before component manufacturers come to the aid of 10 speed riders looking or that little extra help on the hills. Machined from aluminium for stiffness and weight saving, the range extender EX cog from e*thirteen is designed to work with your current cassette extending your range of gears from either 34T or 36T max to 40T or 42T. This simple extender ring means you can keep your current drive chain set-up for the most part and switch to a 1×10 drive chain set-up with a narrow/ wide tooth chainring. Available in three colours and in either a Sram or Shimano fitment the EX cog retails at £54.95. There are plenty of new saddles with Selle Italia this year, not least a reimagined Ferrari Novus. The Novus 2015 comes in a titanium or carbon fibre rail and is available in black, white and the new team edition featuring the eye-catching red pattern that will be used on all team saddles for 2015. The firm is also bringing the Butcher to Core, featuring a large cut out in the centre for greater grip when performing tricks requiring a seat grab. It can also be used on uplifts where the bike is mounted on a chair lift. And there’s a subtle bottle opener too (on the underside of the saddle). 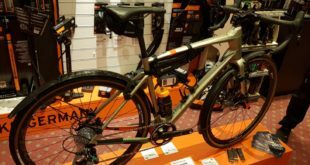 Tifosi is one to watch out for too, with more models at competitive price points, many under the cycle to work threshold, including entry level Shimano builds. New designs and logos, complementing the heritage feel of many of the range will mean it’s worth a trip at Whittlebury Hall. Among the goodies from Paligap will be Fast Forward’s F4R DT180 Carbon Silver Edition Tubular Wheelset. Based on the F4R tubular rim this set comes with a special outlined silver logo matching the hub log (£2,175). Tapping into the commuter market will be Tern’s Verge P9 – a light, fast, efficient and fully-equipped bike that folds small with N-Fold technology, so it is easily stashable. Nine 9 widely spaced gears and a single shifter keep things simple, while the stiff frame is made of hydroformed aluminium (£830). Selle San Marco’s DiMA Selector tool will be explained in depth, revealing how it takes into account age, height, physical characteristics and – crucially – set up of the bike and style of riding to provide customers with near perfect saddles. Stan’s Notubes ZTR Valor features the first carbon rim with genuine NoTubes’ Bead Socket Technology for tubeless use. 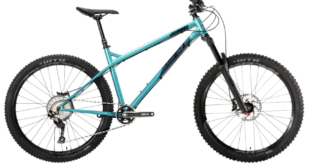 Available in 29er as well as 26”, 27.5” sizes, and with multiple axle options, the Valor features the 3.30Ti Disc hubs, 24/28 spoke pattern and individually reinforced spoke holes.